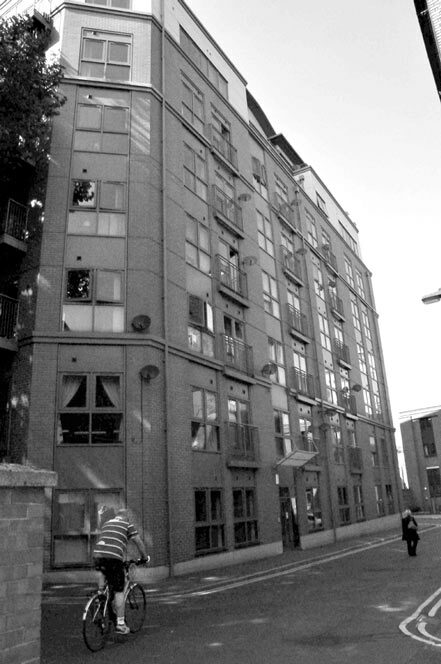 The site was occupied by a small hosiery factory which needed to be demolished to make way for this substantial apartment development. The site had a very chequered planning history and was going nowhere with previous developers until we stepped in. Our proposals were well received by the Nottingham Design Forum and went through planning very smoothly. 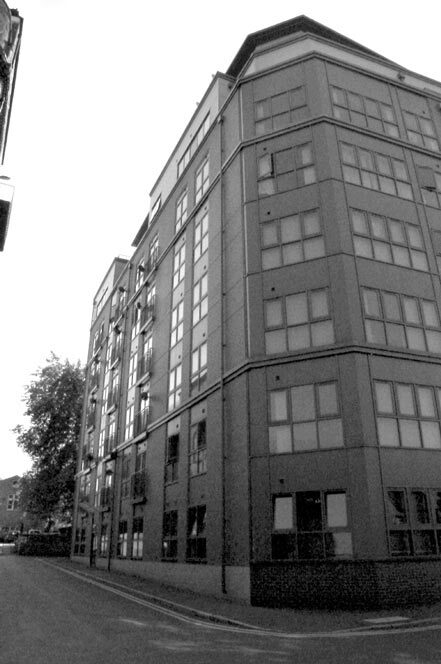 At eight storeys it backed onto a very quiet small park in Nottingham and therefore had to be sensitively designed to ensure the scale was appropriate. The building was designed with a fairly monumental factory aesthetic to the front but was then sympathetically terraced back at the rear to provide lots of private balconies and decks which looked towards the park gardens and surrounding area. This development was so successful that the model was rolled out next door on the adjacent site to form part of a larger comprehensive development.